Apple has updated its iMac computer range. The new lineup of AiO PCs look much the same but have been through a spec bump, offering "a 2x performance boost," according to Apple's news release. There are two iMac sizes, the 21.5- and 27-inch models, and they don't share the same internal hardware spec options, as you will find out below. Apple has three standard configurations of its 27-inch iMac priced from $1799 to $2299 without upgrades selected. Whichever you choose, it will be built around a 27-inch 5K display with wide colour gamut and 500nits max brightness. 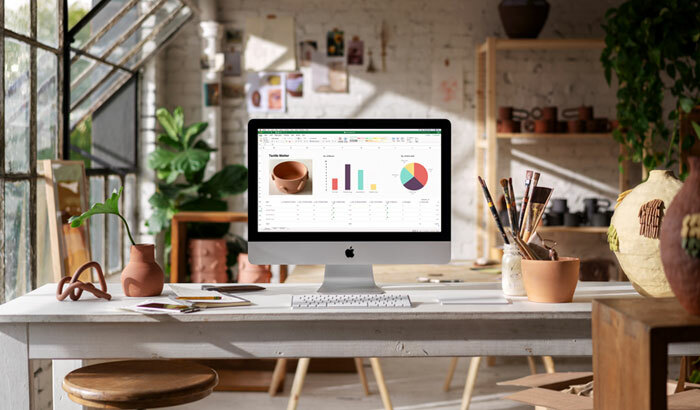 For the first time this iMac will offer configurations based around Intel's 9th-generation 6-core and 8-core processors. On the product specs page you can see that the two more expensive options offer further choices of up to a 3.6GHz 8-core 9th gen Intel Core i9 (with Turbo Boost up to 5.0GHz). In terms of graphics, the entry level model comes with an AMD Radeon Pro 570X with 4GB of VRAM, and the top-end model can be optionally configured with the Radeon Pro Vega 48 with 8GB of VRAM – a first for the non-Pro range. Apple builds these AiO computers around a choice of Full HD, or 4K display with wide colour gamut and up to 500nits brightness displays. Your next choice would be of the processor installed, and there are three tiers to choose from, ranging from a dual core i5 upwards. 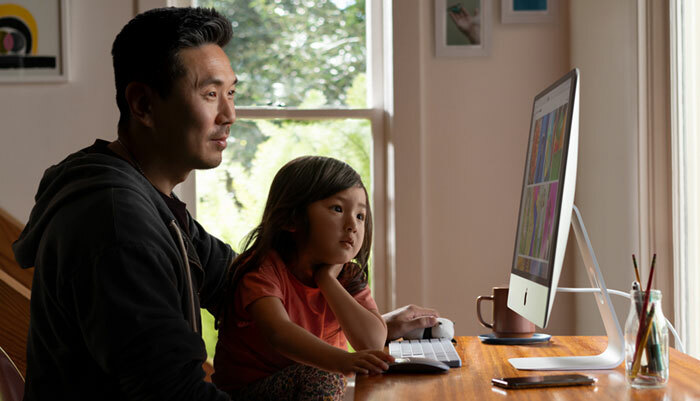 These more compact iMacs don't have 9th-gen Intel processor options but stick with 8th gen dual, quad core and, for the first time, hexa core processors from Intel. Base model pricing ranges from $1099 to $1499. 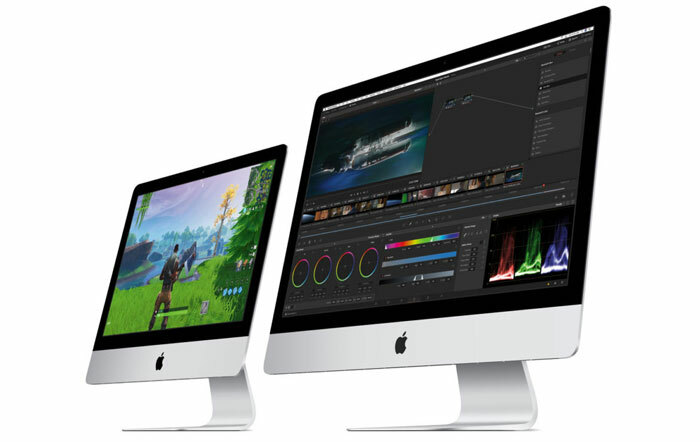 Looking at new 21.5-inch iMac GPU options, the entry level only comes with integrated graphics (Intel Iris Plus Graphics 640) but mid and top-end models sport Radeon Pro 555X with 2GB of VRAM and Radeon Pro 560X with 4GB of VRAM, respectively. Last but not least the top-end model can be upgraded with an option for a Radeon Pro Vega 20 with 4GB of VRAM which delivers "up to 80 percent faster graphics performance," than prviously available models, according to Apple. All the new iMacs come packing MacOS Mojave and are available to order immediately. Apple didn't announce any major update to the iMac Pro except for a couple of new upgrade options; a 256GB RAM upgrade (adding over $5000 to the price), and an option for a Radeon Pro Vega 64X with 16GB of HBM2 memory for an extra $700.